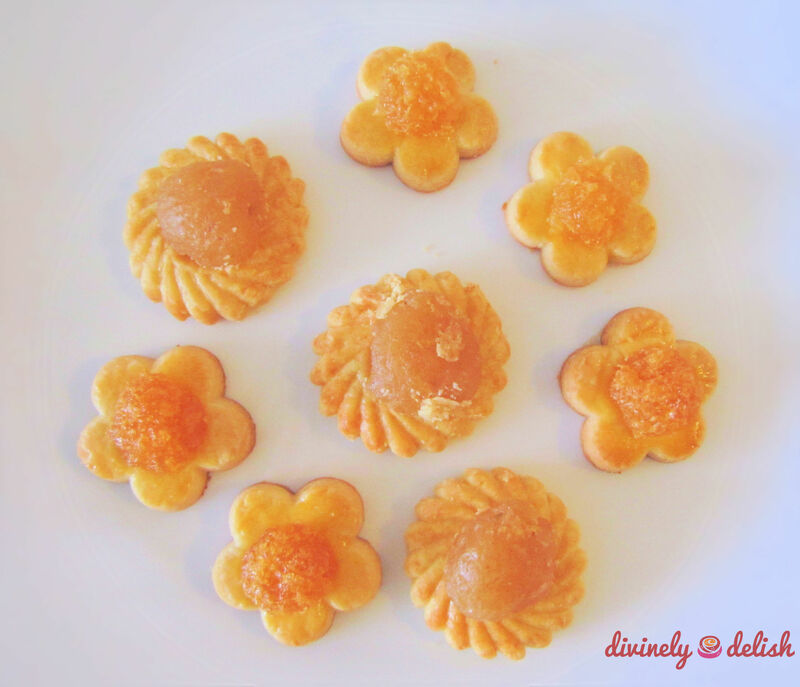 I’m so excited I finally made Pineapple Tarts last weekend! 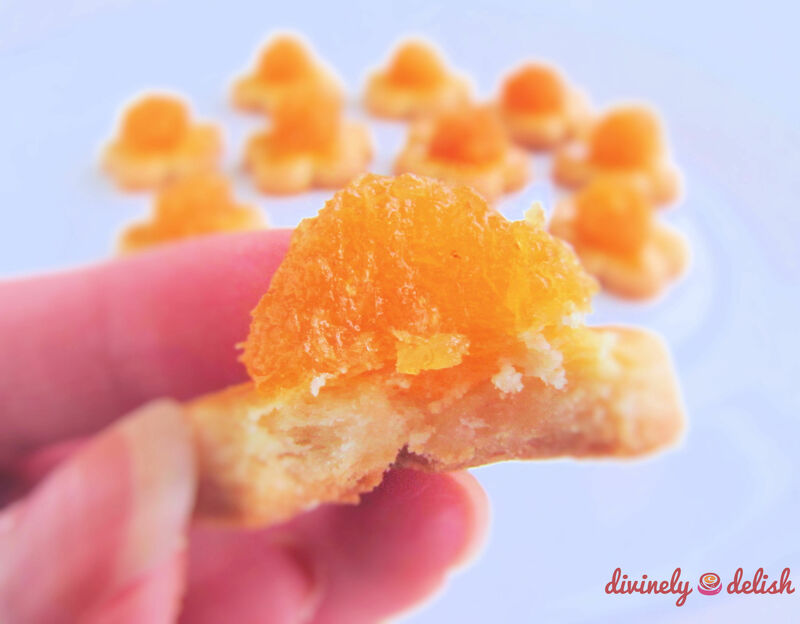 Pineapple Tarts are small, buttery pastries filled or topped with pineapple jam that are popular in Malaysia and Singapore during the various celebrations such as Chinese New Year, Hari Raya and Deepavali. 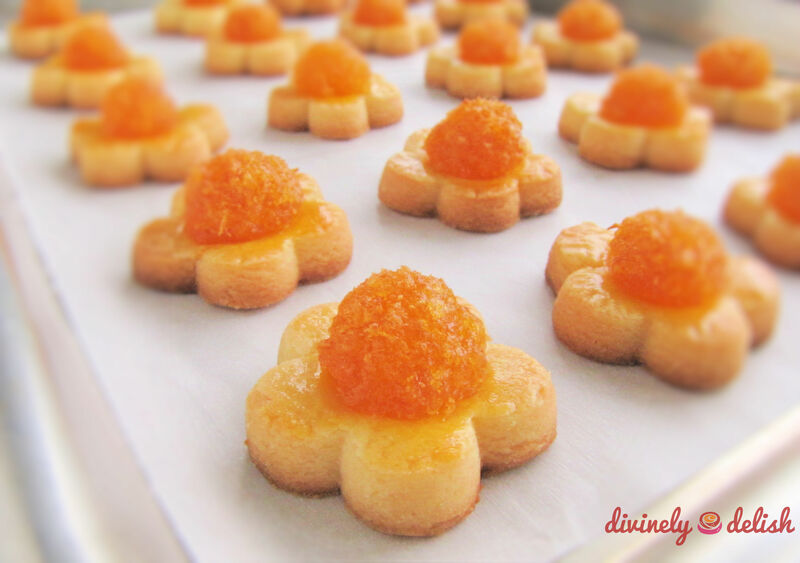 Actually, the name Pineapple Tarts is a bit of a misnomer, since they come in various shapes that may not even resemble tarts at all. 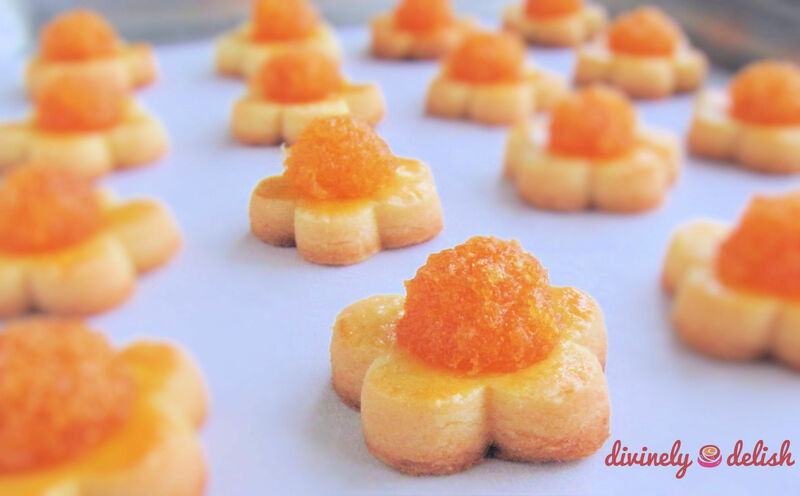 There’s the fully “enclosed” version where the rectangular or ball-shaped morsels of pastry are filled with jam. There’s the kind that look like mini sausage rolls, there’s also the cookie-like open-faced version where a ball of jam sits on top of the pastry, or a lattice-top variation, which is probably the most tart-like version. Personally, I prefer the open-faced tarts because they just look prettier! I knew I should’ve bought a pineapple tart mould when I was in Malaysia recently. But I didn’t, and so had to make do with a fondant/cookie cutter (I know the shape looks similar to my Kuih Bangkit, but I actually used a smaller plunger cutter for those cookies). I also used the larger end of a fondant ball tool for making indentations in the dough for placing the jam. 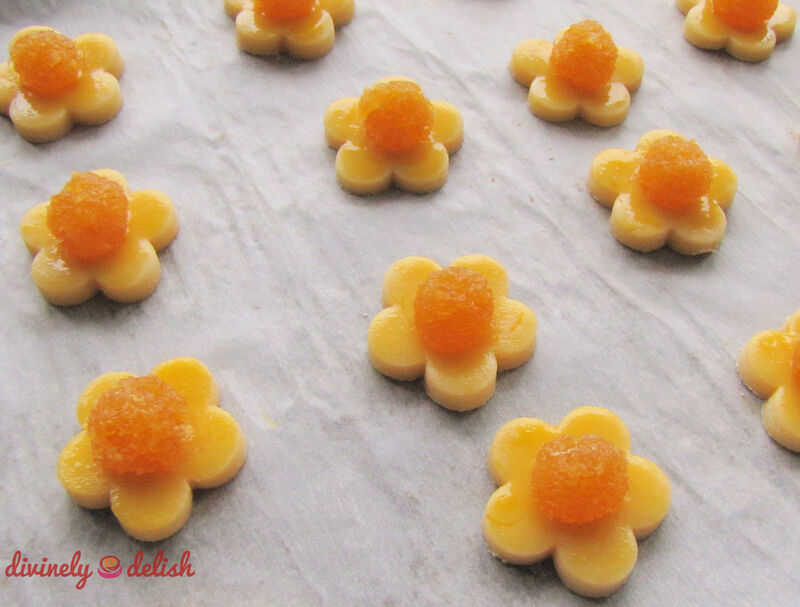 I used the largest flower-shaped cutter I have (1.5 inches in diameter, or just less than 4 cm) which resulted in bite-sized pastries that, as you can see in the picture below, are smaller than the store-bought traditional ones that I brought back with me. I was pretty happy with how the tarts turned out, especially this being my first time making them! Some tart pastries are pretty crumbly, but I prefer a firmer dough, like this one, where the tarts aren’t so fragile and don’t fall apart when you bite into them! 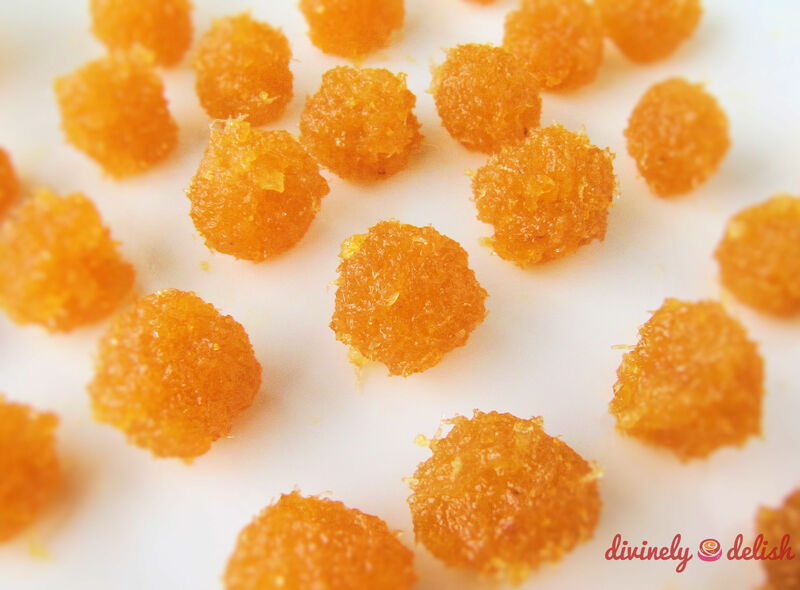 Taste-wise, they were nice and buttery, just as they should be…and very addictive!! I cooked the jam according to the recipe, but it wasn’t quite dry enough. Next time I’ll cook it for longer or else let the jam sit out for the suggested 3 – 5 days, instead of just 2 days (I couldn’t wait to make the tarts!). When I rolled the jam into balls, they were still quite sticky. So make sure you plan ahead and cook the jam a few days in advance. I used an extra sweet pineapple variety that was probably a little on the overripe side, so I decreased the sugar to 200 grams, from the original 250 grams. It was perfect, not too sweet. But you can adjust the amount of sugar accordingly, depending on the sweetness of your pineapple. I set aside some of the pineapple jam that I made, so I ended up with leftover dough, which I used to make Thumbprint (Bird’s Nest) Cookies! 1) Peel the pineapple and remove the eyes and divots. Cut away some of the core (but not all, as this will add a nice bite to the jam). Cut into small chunks and puree in a blender. This should give you about 1030 grams of puree. 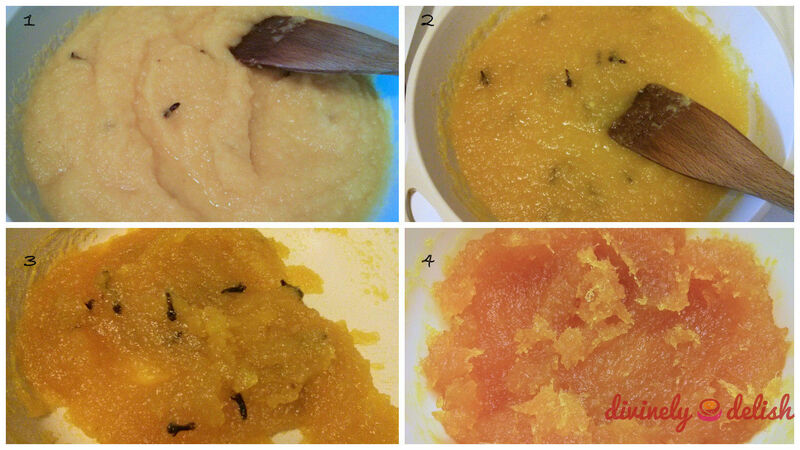 2) Sift the pureed pineapple to remove some of the juice (I removed 486 grams of the juice). 3) Add the remaining 544 grams of pureed pineapple flesh into a non-stick pot, along with the cloves. Cook over medium heat, stirring occasionally. 4) After about 15 minutes, most of the liquid will have evaporated. Add sugar. It will turn watery again. Continue stirring for about 15 minutes until the jam thickens. 5) Turn the heat to low, add lemon juice and continue stirring for about 25 more minutes, until you get a thick, caramelized jam (it will stick to the spatula). You should have about 330 grams of cooked jam. 6) Remove the jam to a bowl and allow to cool completely, then loosely cover with cling wrap and set aside for 3-5 days at room temperature before using. 1) Cream the butter and condensed milk until light and fluffy. 2) Add in the egg yolk and beat until well combined. 3) Slowly mix in the flour to form the pastry dough. The dough will be ready when it’s smooth and pliable. 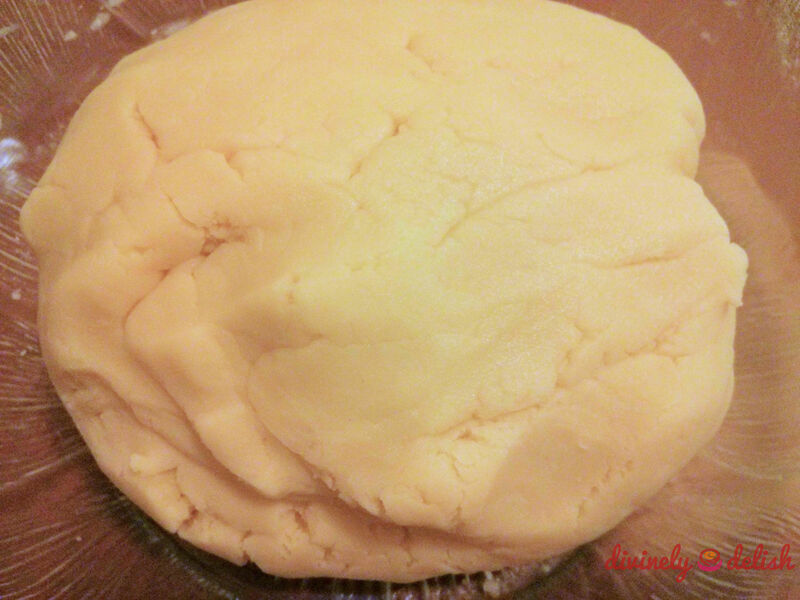 4) Cover dough with cling wrap and place in the refrigerator for an hour. 5) Meanwhile, using your hands, roll out 5-gram balls of the pineapple jam and place aside. 6) Preheat oven to 360F (182C). 7) Take dough from the fridge. 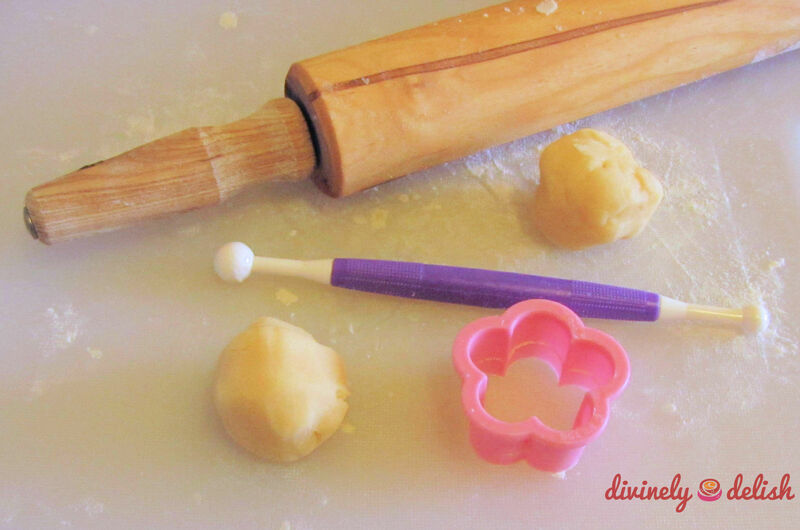 On a lightly floured surface, roll out dough with a rolling pin to about 1/4-inch (6 mm) thickness. 8) Cut out the dough with a 1½” cookie cutter, and place on a parchment-lined baking sheet. Use a fondant ball tool to make indentations in the centre of each piece. 9) Brush on the egg wash and lightly press a ball of jam into the centre of each tart. 10) Bake for 12-15 minutes, until tarts are a light golden colour. 11) Remove the tarts and allow to cool completely. Store in an airtight container. Note: If not using right away, or you have leftovers, both the jam and dough can be stored in the freezer for up to a couple of months. Just make sure that you place the jam in a tightly-sealed container, and wrap the dough well with cling wrap, then place in a well-sealed freezer bag.